A potential €200m contract between the European Space Agency and Airbus in Portsmouth will be moved to the continent because of Brexit, the managing director of Airbus said on Wednesday. Airbus will move all the work for the ground control for the new EU satellite navigation system, Galileo, from the UK to France or Germany should it win the bid. Colin Paynter, managing director of the Portsmouth based Airbus Defence and Space, told MPs that it was “committed” to this move as part of its bid for the contract, which it submitted on 24 April. 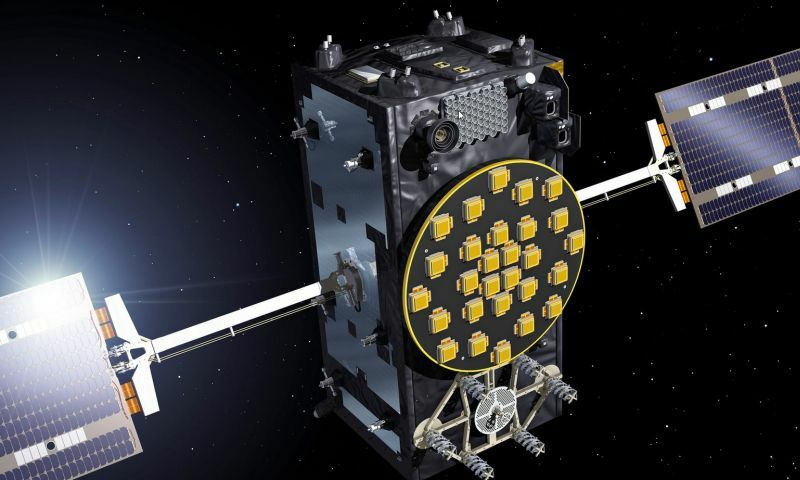 The decision is a response to the European Space Agency’s rule that it will only allow EU member states to be lead contractors on the Galileo work after 29 March 2019 when the UK is scheduled to leave the bloc. He did not specify the value of the bid, but it was recently reported to be potentially worth €200m. Galileo is a new 26-satellite €10bn navigation system recently launched by the EU to rival the Global Postitioning System (GPS) developed by the US military. It went live in 2016, after 17 years in gestation and is designed to provide highly accurate global positioning information for phones, cars, maritime, air, rail and emergency services. Most smart phones in the UK are now enabled for GPS and Galileo – which offers a more accurate version of GPS with accuracy of between 50 metres and 100 metres in built-up areas and less than one metre in the best possible conditions. Crucially it means the EU will not be at the mercy of the US when it turns off GPS for military purposes. The UK’s access to the encrypted services of Galileo needed by the military to plan operations and guide missile has emerged as a significant flashpoint in Brexit negotiations. The government recently threatened to quit the project and go it alone by launching its own rival service; reports on Wednesday said the government was also exploring ways of banning technology transfer from the UK to the EU post Brexit. The committee heard that it would cost £5bn to launch a rival system and would not be value for money. Paynter told MPs he supported the government’s recent request for the EU space sector procurement process to be paused to allow the UK and EU to come to an arrangement. He also called on both sides to find a long-term solution in the interest of security, including continued participation in Galileo during the Brexit transition period. “Because March 2019 is just tomorrow and that’s the problem in the industry of Galileo, we’ve been caught in a timing trap. If renewal of the contracts was three years’ time there wouldn’t be a problem,” he said.